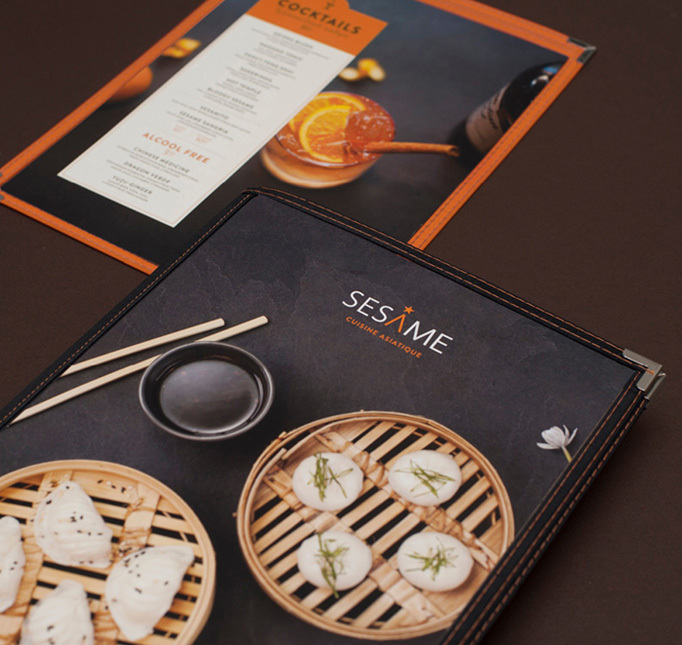 Designed by LMG communication graphique. 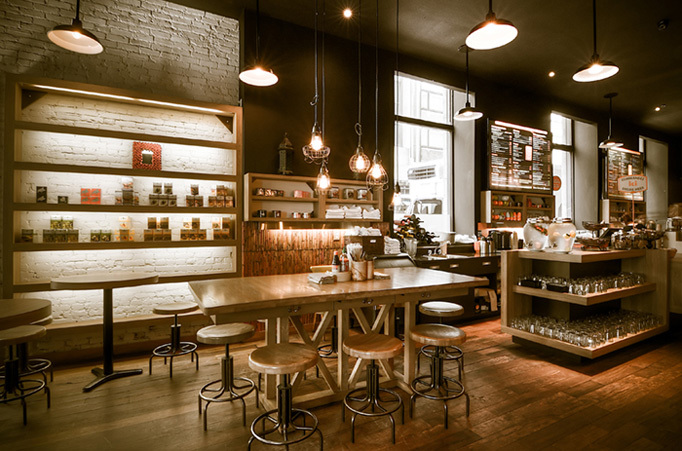 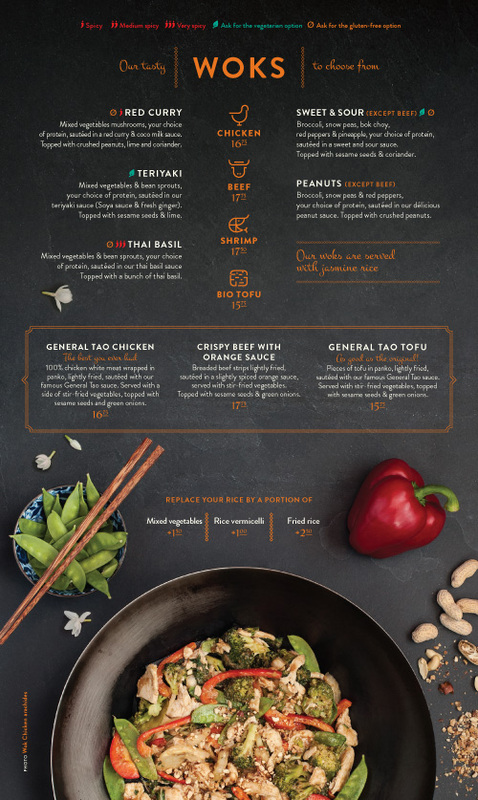 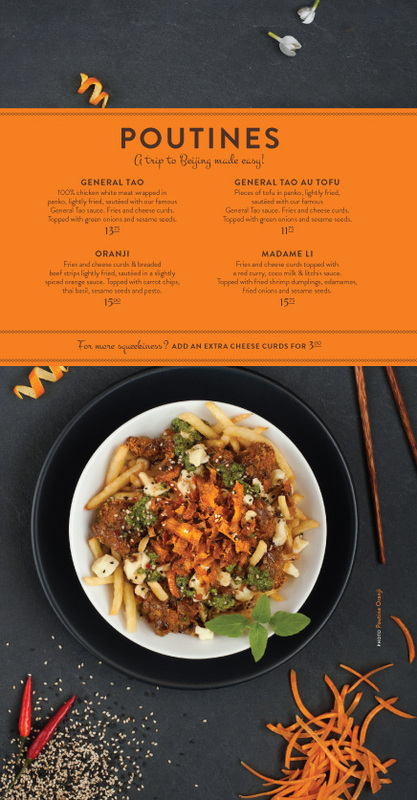 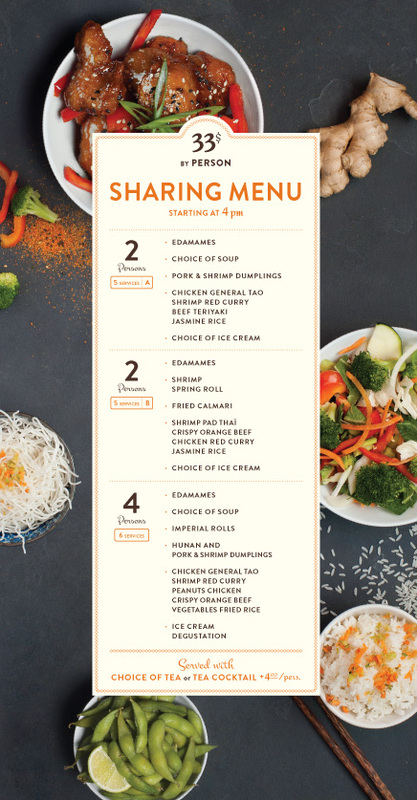 It’s hard to design menus for restaurants with multiple locations in a way that stands out, as you have to create many more units and creating highly customizable or needing lots of hand assembly isn’t ideal. 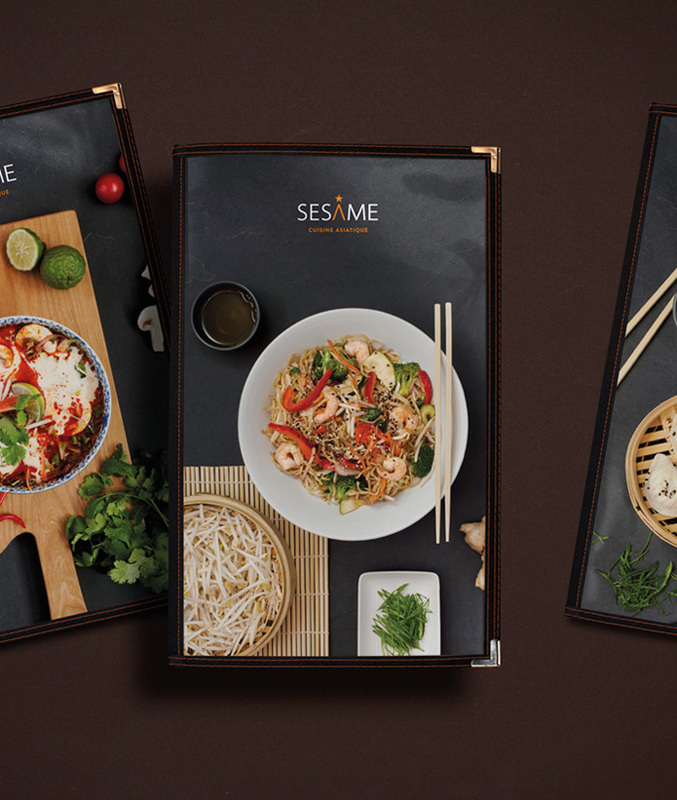 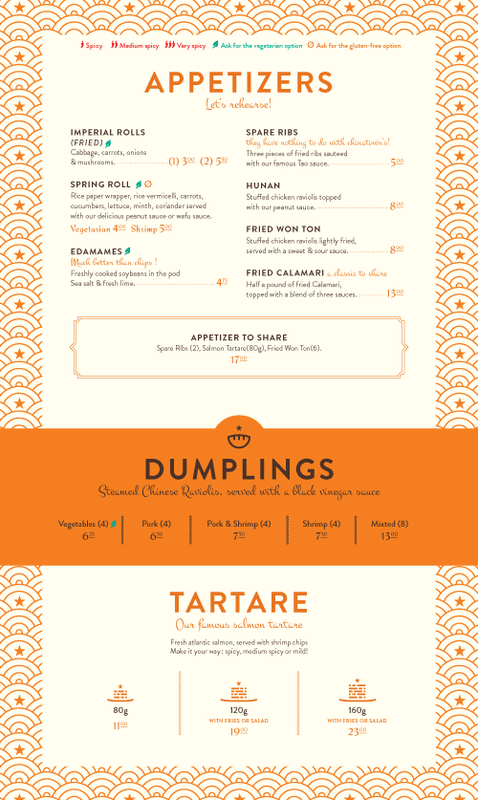 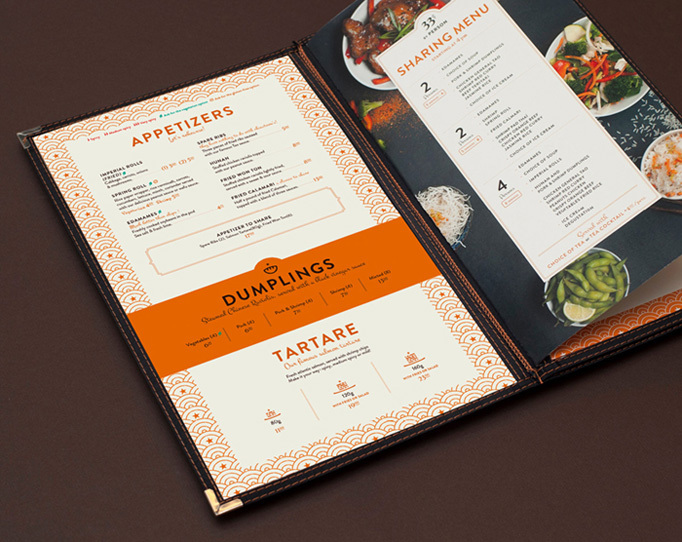 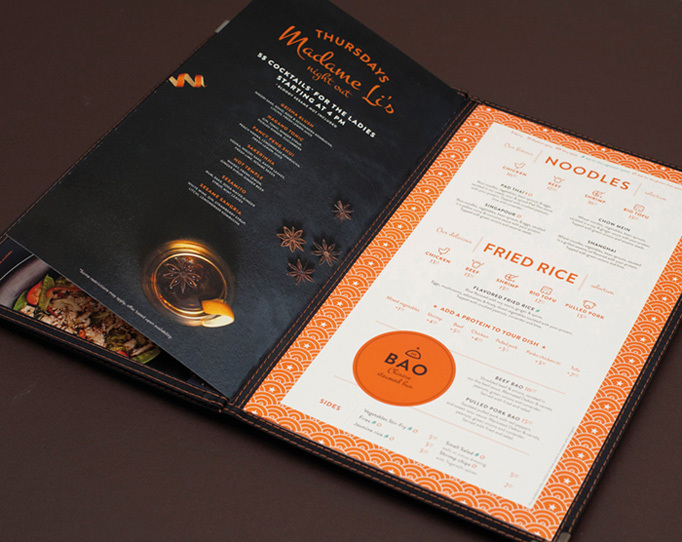 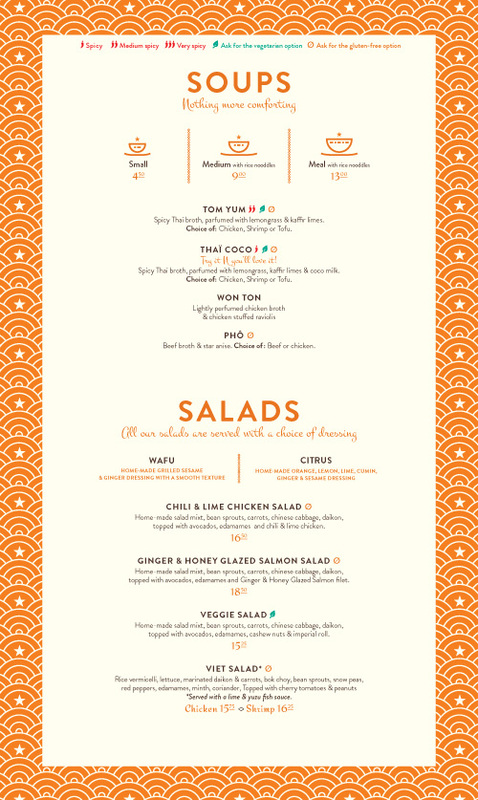 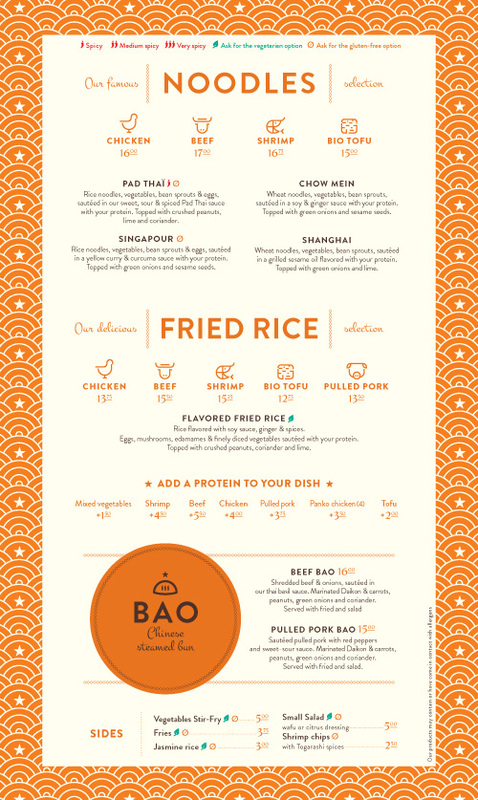 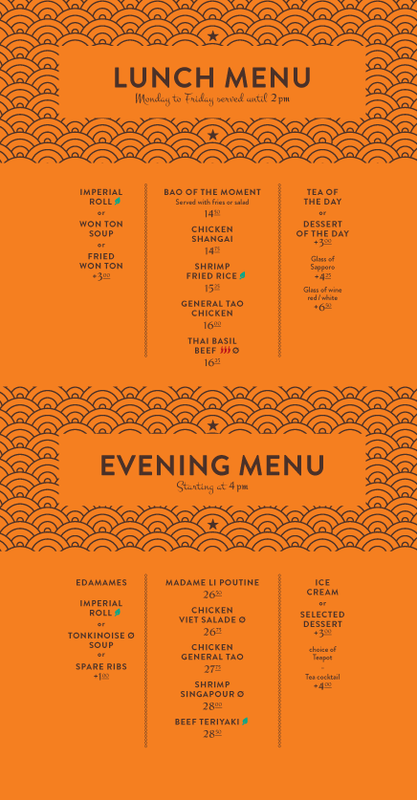 Treated more like a brochure, the menu features rich editorial photographs — the slate backgrounds making the food pop beautifully — and varied pacing that intersperses vector pattern backgrounds. 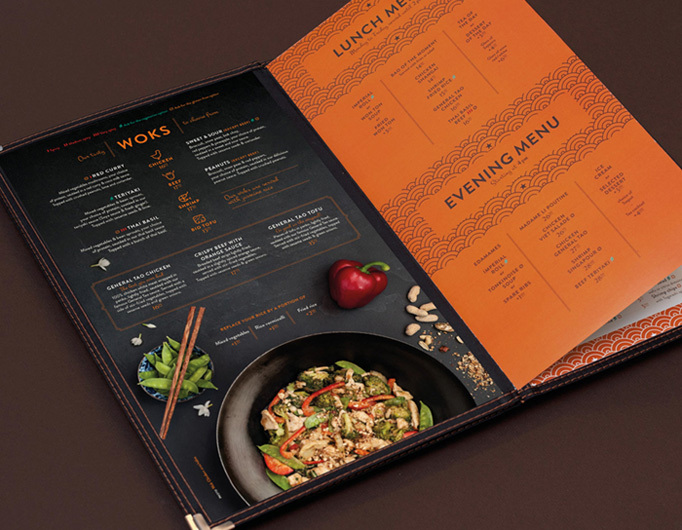 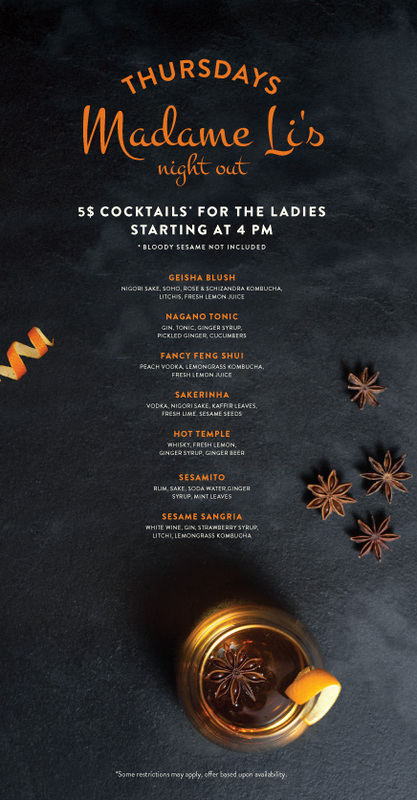 The typography is great from start to finish and the orange highlights help bring everything together and create an attractive, memorable design consistent across locations.